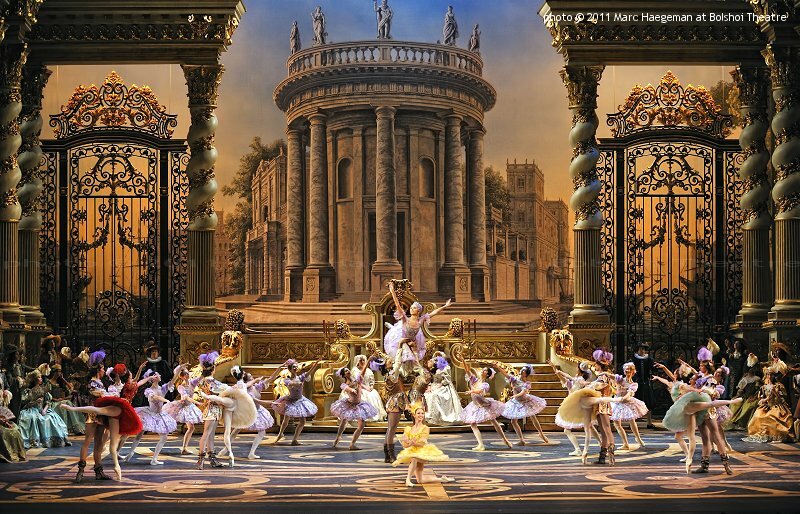 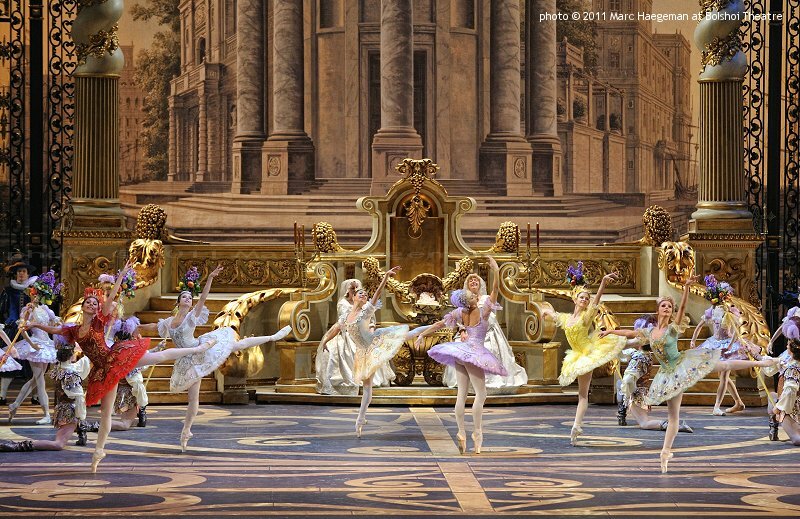 The first ballet performed in the renovated Bolshoi Theatre was Peter Tchaikovsky's The Sleeping Beauty in a new staging by Yuri Grigorovich. 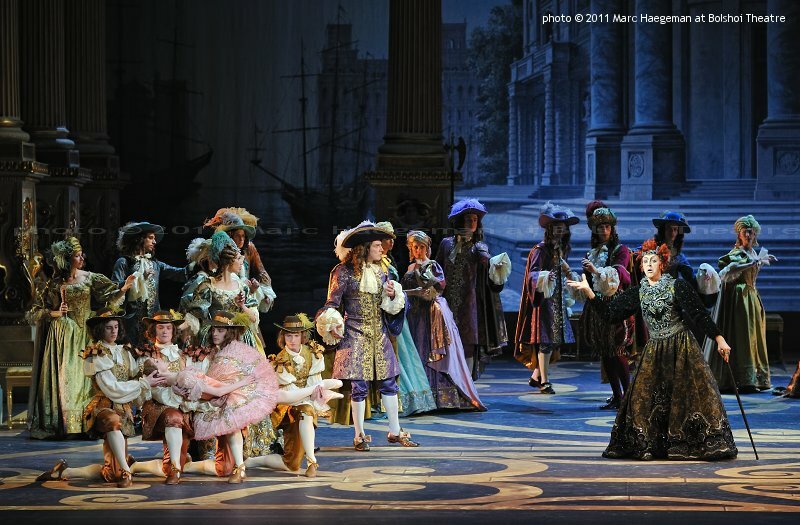 Sets were designed by Ezio Frigerio, costumes by Franca Squarciapino. 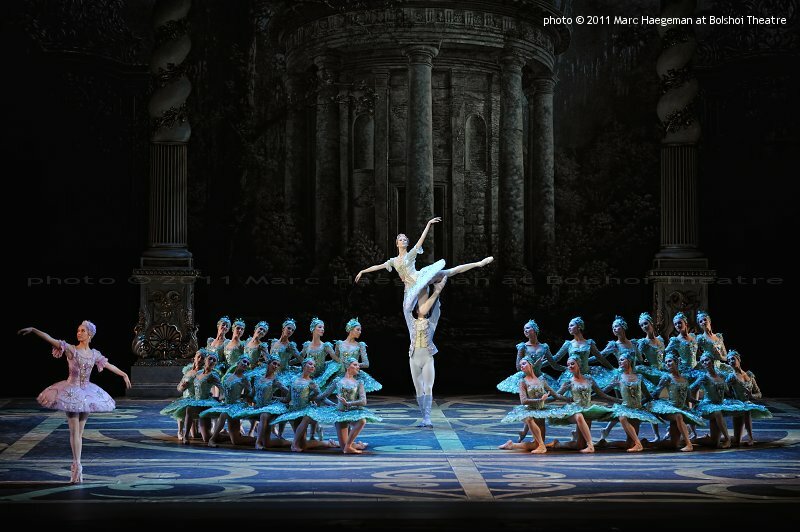 Light design by Vinicio Cheli. 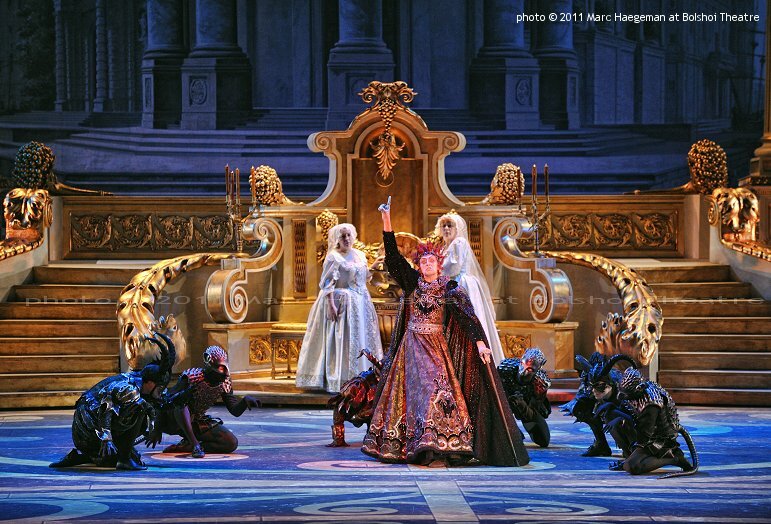 Music direction by Vasili Sinaisky. 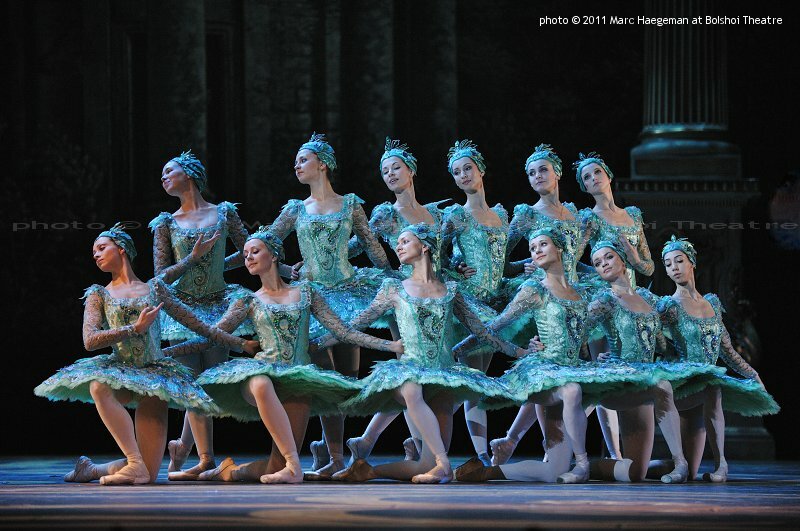 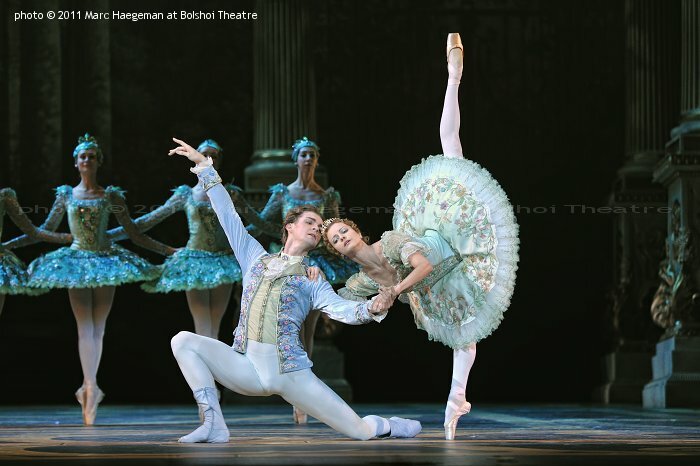 The premiere took place on 18 November 2011 and featured Svetlana Zakharova and David Hallberg in the main roles. 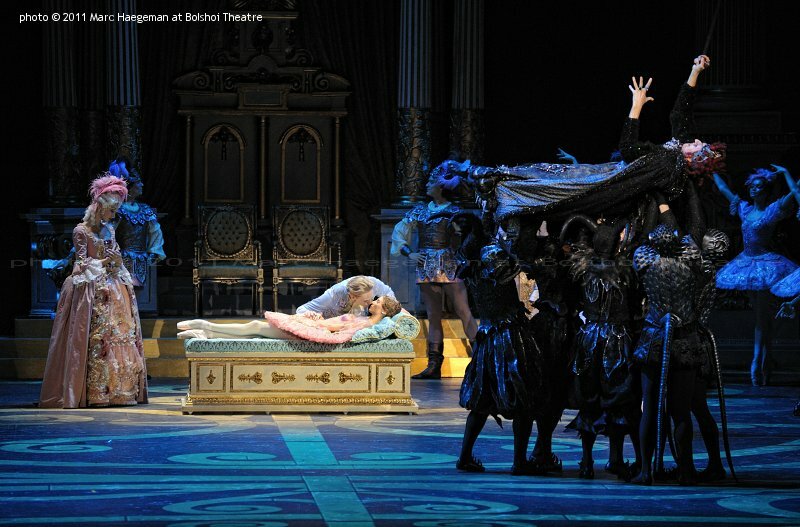 A second cast was headed by Nina Kaptsova and Alexander Volchkov. 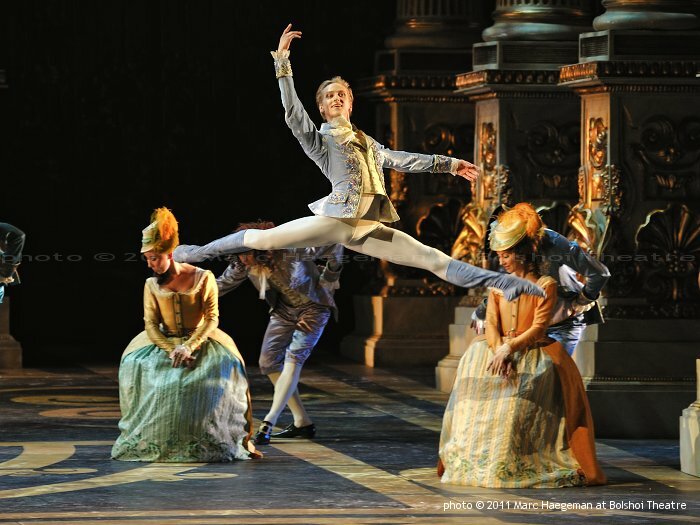 At the issue of the performance on 19 November Kaptsova was promoted to principal ballerina by director Sergei Filin.